A CNC drilling machine is one type of several computer numerical controlled machines used to fabricate parts and components made of different materials. Similar to a robot, this machine drills material based on a computer code that a skilled operator enters into a computer. Read more! Successful manufacturing businesses rely on a host of high-tech machines, one of which is a CNC drilling machine. With this type of machine, a manufacturer can drill various hole sizes and patterns according to your needs. Included are sections, square or rectangular hollow sections, and flat bars. Once the correct hole pattern and size gets programmed into the CNC system, the machine then performs the work automatically. When having aluminum, steel, or some other metal parts and components produced, superior quality is critical. After all, the finished product is used for multiple applications within many industries. If a part or component is not produced correctly, everyone is impacted. This includes the company that operates the CNC drilling machine, as well as you, their customer, and the end-user, which is the consumer. With CNC turning services, tooling is mounted onto a computer-controlled turret. When operating a machine shop, precision CNC turning is a specific method used whereby a pointed cutting tool feeds parallel onto the surface of material being rotated. For rotation, a lathe is used, which secures and spins the part of the material being machined. Therefore, with CNC turning, the single-point cutting tool removes and shapes the material into the required part. 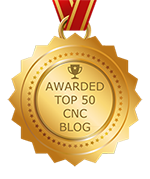 The modern-day CNC drilling machine has changed the way that holes are made as part of the manufacturing process. Thanks to this type of CNC machining, companies can offer even more and better products to their customers. Overall, top-rated CNC machining services, such as those offered by Ohio-based NexGen, change the way that manufacturers conduct business and, therefore, the overall quality of finished parts and components.